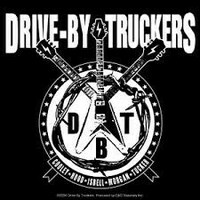 Drive-By Truckers are an alternative country/Southern rock band based in Athens, Georgia. 2008 EU issue & pressed in RTI on 180g vinyl =A 19-song 75+ minute southern gothic rock n' roll masterpiece. Featuring the songs "The Righteous Path", "3 Dimes Down" and "Purgatory Line".